Brands know that it has become imperative to create Instagram-worthy food, and Sonic Drive-In just took that mentality to the next level by creating a beverage designed for Instagram, available only through Instagram. 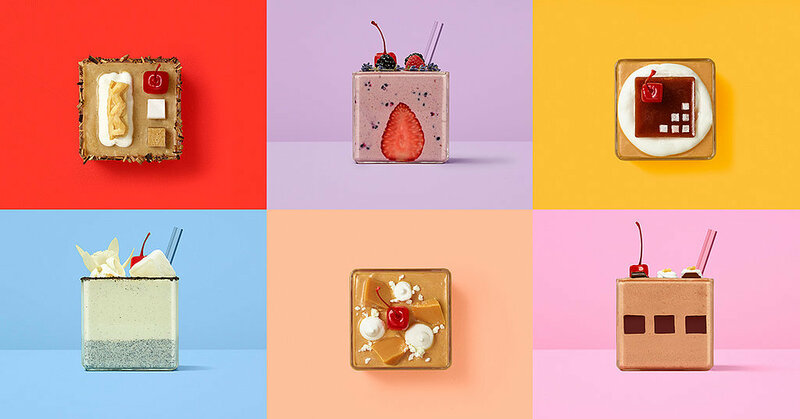 They’re milkshakes called #SquareShakes, and they’re square-ified versions of the restaurant’s new line of Creamery Shakes that will be available exclusively at Coachella on Saturday, April 16. They’re an Instagram dessert in every sense of the phrase: Coachella attendees will see an ad for the shakes on Instagram, can order one by clicking “Shop Now,” will get it delivered directly thanks to a “geo-fence overlaid on the festival,” and can pay for it — literally — by posting a photo of it. The pop-art-like shakes were created in partnership with Christine Flynn, the chef behind the brilliant Instagram account chefjacqueslamerde that makes junk food look gourmet. “Food and Instagram is pretty fascinating,” Flynn said. “There’s over 178 million photographs on Instagram that are hashtagged #food — people love sharing their food on Instagram.” She elaborated, “We took everything and we made it a square, from the ingredients, the cherry on top, to even the design.” Pretty ingenious, right? Check out the video to see the process unfold, and be sure to look out for the adorable milkshakes (including Vanilla Bean, Buttered Toffee, Dark Chocolate, Bourbon Brown Sugar, Dulce De Leche, and Wildberry & Lavender) if you’re headed to Coachella.